Seaside has it all. 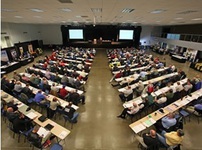 Superb meeting and convention facilities, great food and wonderful accommodations. Everything you need to make a big splash for your next event.